When training for fat-loss what is important to consider is that doing cardio/aerobics alone will not give you the same benefits. The use of cardio/aerobics has its place, however the inclusion of strength/resistance training will be far more effective. The stronger you become participating on a strength program means you will have more muscle tissue in which also results in more fat loss (the body requires more energy/calories for maintenance of muscle). People who carry more muscle will have a faster metabolism. Weight training prevents the muscle loss that accompanies ageing. From the age of early 30’s those who are less active than others will experience something called sarcopenia (loss of muscle). I know we can’t stop ageing, but we can do a good job of slowing the process down. Carrying minimal muscle mass doesn’t only reduce our strength but it also will make us less mobile. In fact it also increases our risk of developing type 2 diabetes and osteoporosis. It will build/tone muscle – in which creates that healthier appearance we all want- curves shape and tone. Infrequent strength training will result in many muscular imbalances (weakness/tightness) which makes us more more susceptible to injuries. Regularly following a designed strength training program will help with these imbalances and create better posture. 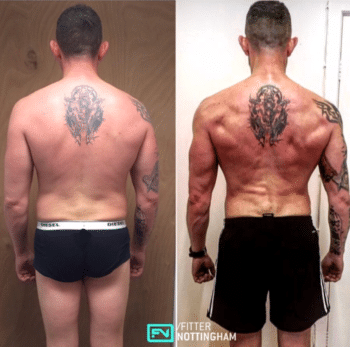 The positive thing to note is that it can be reversed, as we are able to substantially improve our muscle mass in as little as 3-6 months- when utilising the correct strength training program. Do you need help with getting started with your nutrition and training? Get in touch to arrange a Free consultation and find out how we can help you.